I remember there being a time while growing up, where every other game was basically a local multiplayer game where you could play alongside your friends in the same room. 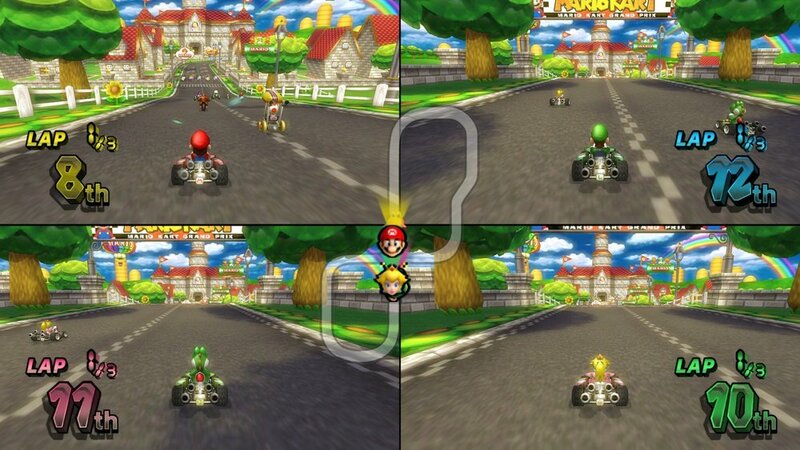 I really long for days where I would sit in front of the TV and play the same game for hour on end with my friends. This got me thinking about why is that fewer and fewer companies are building local multiplayer games. I think a major reason for this decline in the number of local multiplayer games is because of a decline in popularity. Back in the early days of gaming, local multiplayer was the only option for all sorts of games as the technology wasn’t strong enough to support online gaming, so players had no option but to play these kind of games. Most people played those games because that is what was available to them at that time. High speed internet wasn't a thing back then and if you wanted to play a game with someone you had to go to their house and play it on their console. Another major reason for their popularity back then was that the majority of people who considered video games to be a major part of their lives were younger people, college age and under. At that age, people have more time and less money and getting 4 people together to play on 1 TV, using 1 console, 1 game, and 4 controllers was easier than getting 4 people, 4 TV's, 4 consoles, 4 games, 4 controllers, and whatever subscriptions were necessary to link them. Also keep in mind that people in that age bracket typically live closer together, whether in the same neighborhoods they grew up in or on the same college campus. With the constant improvement in technology, these people who played games at a young age have grown up liking games and would like to play games with their friends. But, in a lot of circumstances, they no longer live close to each other and find it easier to set apart time to "meet up" online and play on their own consoles and the current technology is providing them with this avenue. AAA gaming is always pushing the boundary of what the technology can do and how good the game can look to the players and in some cases of local multiplayer games like split-screen games this involves rendering the scene multiple times depending on the number of players and this puts an additional load on the processing power of the console that could have been utilized to render insane graphics. Another issue with split screen games is that they start taking up valuable screen real estate that could be used to render something else. Online gaming has overcome these challenges and therefore, I feel it is safe to say that it is not going to lose to local multiplayer. This is also the reason that a lot of AAA companies have stopped supporting local multiplayer on their titles, most notable was 343 Studios stopping Split screen support on Halo 5 back in 2015. Now this is not to say that there is no market for these kind of games, but that the market size has certainly diminished. Games that don't offer the players the ability to play alone and try forcing an always multiplayer game-play on them usually don't work. Some great examples of that are Rocket League and the Injustice series. Somewhere the local multiplayer series could work well was if it was designed from the bottom up with co-op or competition in mind. Hazelight, the developer on 'Brothers - A Tale of Two Sons' was able to accomplish this by coming up with the novel control scheme that they had for their game. Their next title, A Way Out is built in a similar way where players can only play if they have a partner to play the game along with but it works as it was well designed. Something that usually works in local multiplayer games is giving players a shared view of the entire world where they can see the character they control do actions but the perspective of the game doesn't change around too much. Sports games like FIFA have been doing this for years and games like Overcooked have found success in it. In conclusion, making local multiplayer games is really fun and everyone enjoys playing them but with the ever diminishing size of the market it is really hard to justify spending a large amount of money on a building a game that doesn't have a large appeal to begin with. This was something that I had to think about on my recent game design assignment as there are not too many financially successful local multiplayer games to point to.